Is the "gift" something you can touch? 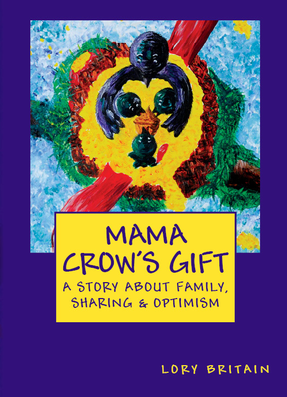 Mama Crow is delighted to bring beautiful objects to the nest for her family. Conditions keep changing, but her optimism is unwavering. 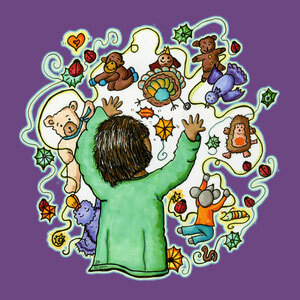 Author of It's MY Body (as Lory Freeman) debuts as an illustrator and storyteller with this touching tale about optimism, family and sharing. Available in Spanish: El Regalo de Mamá Cuervo.